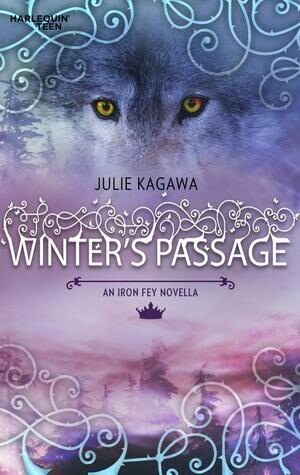 So I recently finished reading Winter's Passage by Julie Kagawa. It is set in between the events from The Iron King and The Iron Daughter. It is told in Meghan's perspective and it speaks of her journey towards the Winter Court with Ash. 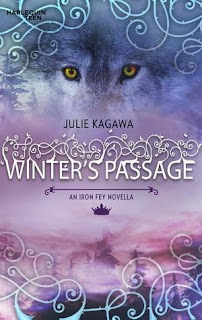 Anyway, the story picks up right after the events from the first book and it introduces the Wolf from The Iron Knight. The wolf scared me here! I liked this e-novella even if it only consists of a few short chapters. It was well written and the pacing was not really rushed even though it's just a bridge towards the second novel. I liked the romance that went on between Meghan and Ash. I did miss Puck here though. Anyway, I'd give this one a 4.5/5 stars though. 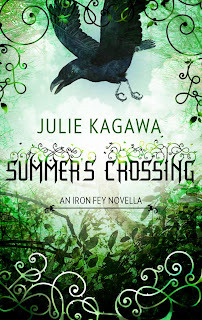 The second e-novella by Julie Kagawa is Summer's Crossing. This one is told in Puck's perspective and it connects the events from The Iron Queen and The Iron Knight. Anyway, I liked this novel a lot. It made me laugh so much being told in Puck's point of view. I think this novella showed us a part of Puck and Ash that we have not seen in any of the novels and I liked it. Their friendship really is something. I can't believe some of the things that Puck can make Ash do. haha. It was well written for me, not too fast and not too slow. If only it was made longer. I actually wanted to read more about Puck and Ash's adventures. Anyway I'm giving this a 5/5 stars.